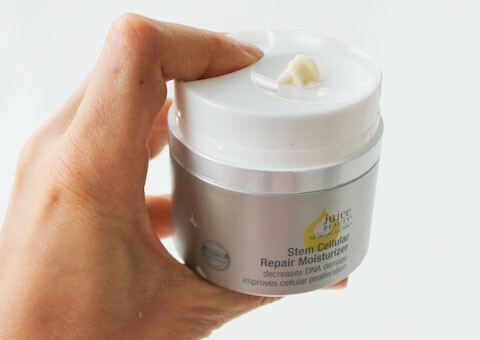 Juice Beauty Stem Cellular Repair Moisturiser features a proprietary blend of fruit stem cells and vitamin C. Fruit stem cells penetrate the skin and encourage cellular repair. 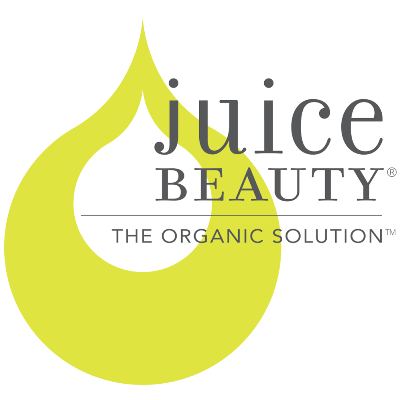 Vitamin C promotes collagen production and renewed skin elasticity, resulting in healthy, younger-looking skin. 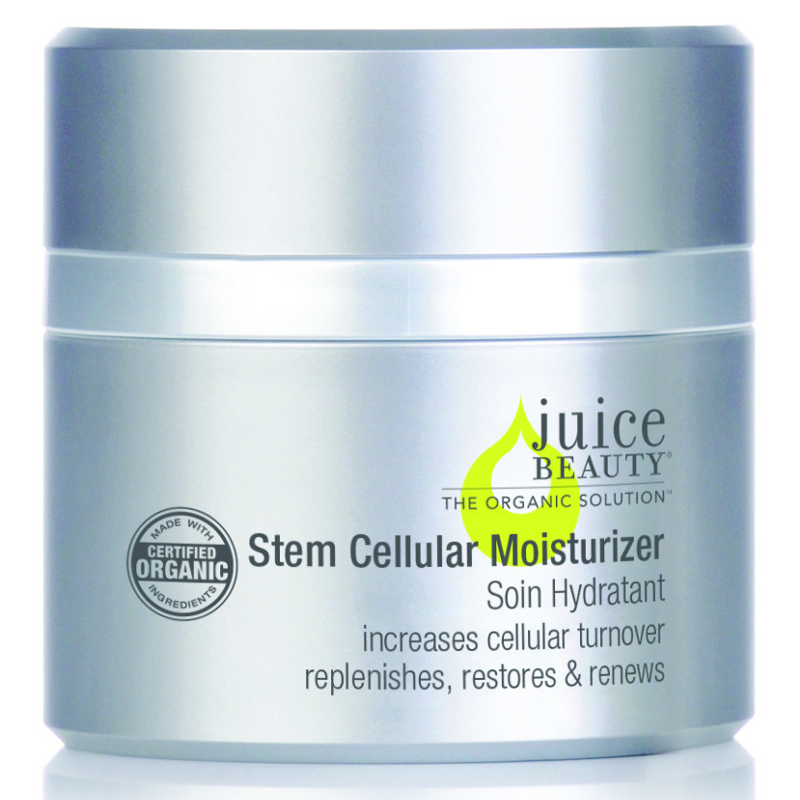 Plus, its rich juice base contains resveratrol, offering antioxidants and clinically validated age-defying properties. I think I may have received this travel sized product in a beauty box. The packaging varies from the full sized version. The cream comes with SPF integrated which speeds up the morning preparation and is something I seek in a day cream, however it is SPF 15 which means I would probably apply a separate, higher SPF if I were going to be outside for a while. Although called 'green apple', I would say that the fragrance of the cream is reminiscent of lemon meringue pie and makes my mouth water to smell! 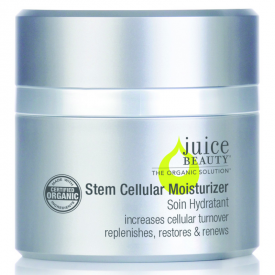 The product contains anti-oxidants including Vitamin C and gives your skin a feeling of well being on application. It would make a nice gift as the price is a little higher than family brands. 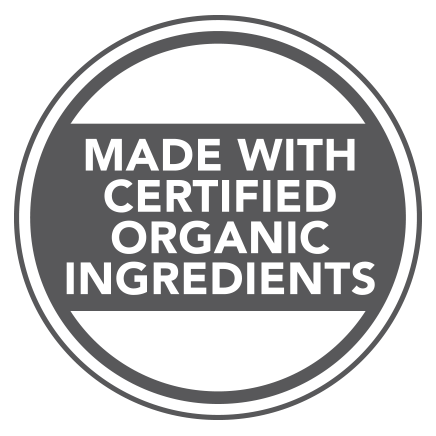 I received some samples of this product and had never heard of it before. On first use I was surprised at how light it was as it's for mature skin. It absorbed quickly but left my skin feeling moisturised all day long. It smells absolutely gorgeous too! It's kind of zesty but not at all over powering. I can definitely see an improvement in the fine lines. I decided I had to have this and was interested in whatever else they had to offer but when I looked it up I discovered just how expensive it is! I still intend to buy it but will need to save up for the next few months!